AMD is excited about its Polaris GPUs and upcoming Zen-based PC and server chips, which the company hopes will end years of struggles. 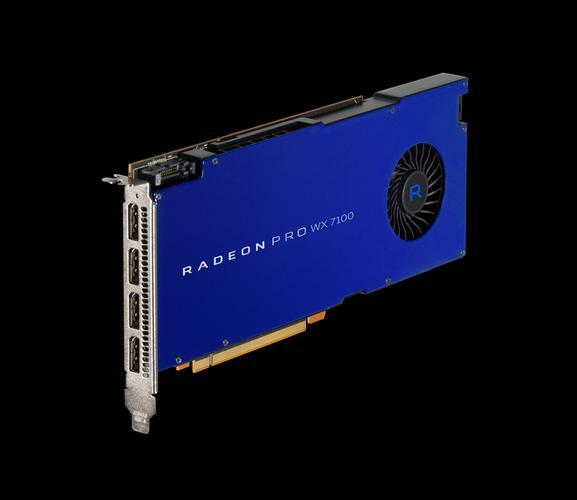 A step forward for AMD is the release soon of its Radeon Pro WX graphics cards, targeted at content creation for 4K games or virtual reality. These GPUs, based on the Polaris architecture, can also be used to create special effects for Hollywood movies. The GPUs also support 5K video. The conversation today is about 4K, but AMD has decided to add support for the next-generation video resolution. And if you desire, the GPUs can be used for gaming, but you may need to buy a high-powered workstation like HP's Z or Apple's Mac Pro. These systems are expensive, are more powerful than desktops, and in most cases, have server CPUs and larger memory capacity. AMD has been aggressive in the VR market with its Polaris GPUs. VR content creation can be tricky, but game programmers are starting to create content that isn't jarring or nauseating. VR content creation also involves tracking eye and head movements. The WX GPUs are relatively inexpensive compared to competitive products like Nvidia's Quadro, which start at more than US$500. At roughly 3.9 teraflops of single-precision calculations, the $499 Radeon Pro WX 5100 offers almost the double the performance of the WX 4100. It has 8GB of GDDR5 memory and draws 75 watts of power. This GPU can handle VR content creation, AMD said. The fastest GPU is the $799 Radeon Pro WX 7100, which delivers 5.7 teraflops of single-precision performance. It has 8GB GDDR5 memory and 36 compute units, which is eight more than the WX 5100. The GPUs will be available this month. AMD already offers the Radeon Pro WX 9100 at the top of the lineup and the WX 2100 at the low-end.